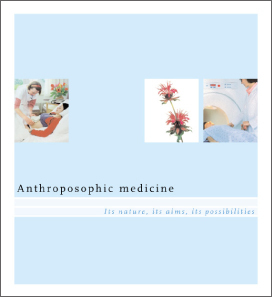 Anthroposophic medicine is based on an integrative diagnostic and healing concept, connecting natural science-based academic medicine with anthroposophy, a spiritual philosophy developed by Rudolf Steiner. Anthroposophic medicine is practiced by doctors in hospitals and private practices in more than 60 countries around the world. This medical approach takes each person’s (patient’s) physical, mental, and spiritual needs into account, making it more human and corresponding more closely to real life. Anthroposophic doctors must successfully complete professional standard medical education, extended to include study of the anthroposophic concept of man and the world. In practice, emphasis is put on cooperation with the patient, who needs to be well-informed regarding his own state of health and be, as much as possible, involved in the process of his own treatment and healing. 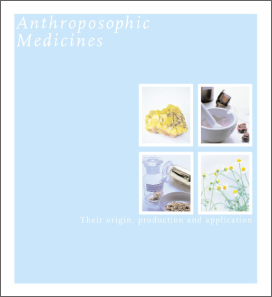 Anthroposophic medicine has developed a wide range of medications and specific medical procedures, creating a complex medical system combining art therapy, therapeutic eurythmy, rhythmical massage, and the concept of prevention, based on lifelong education and self-training. For more information, see brochure [pdf]. It’s not about creating opposition in relation to today’s recognized medical methods, whose principles we fully accept. Anthroposophy attempts to extend the knowledge of the human being as merely a physical being, which scientific methods currently achieve, to include exploring the spiritual aspects of man.